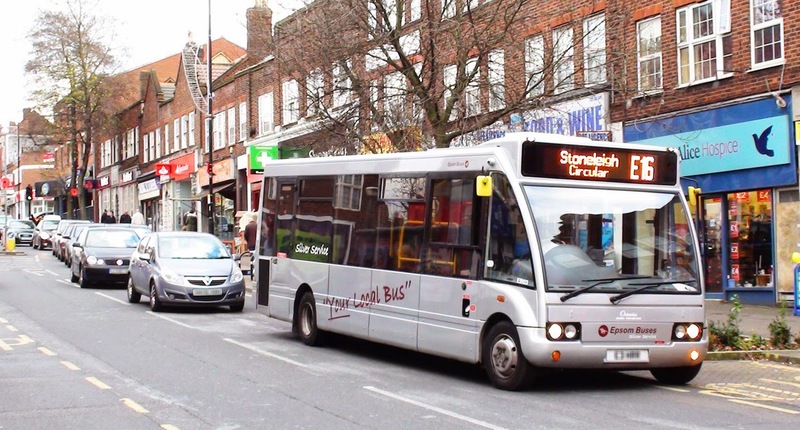 The campaign to bringing Crossrail 2 to Worcester Park has taken another step forward. 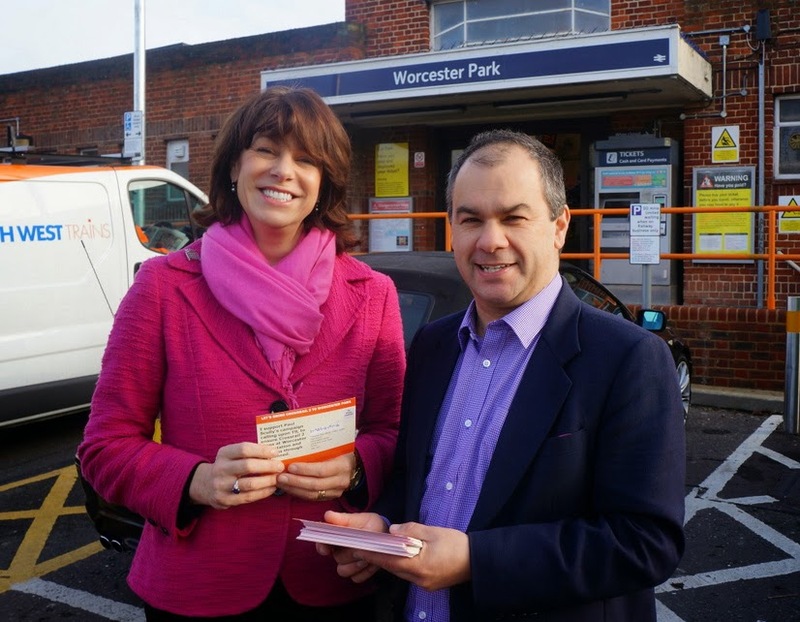 Parliamentary Candidate Paul Scully (Conservative, same as me) invited Transport Minister Claire Perry (pictured above with Paul) down to see the situation for herself and talk to local people about it. He has also shown her the petition with over 1200 signatures that we collected last year for Boris Johnson (good thing we kept a copy). 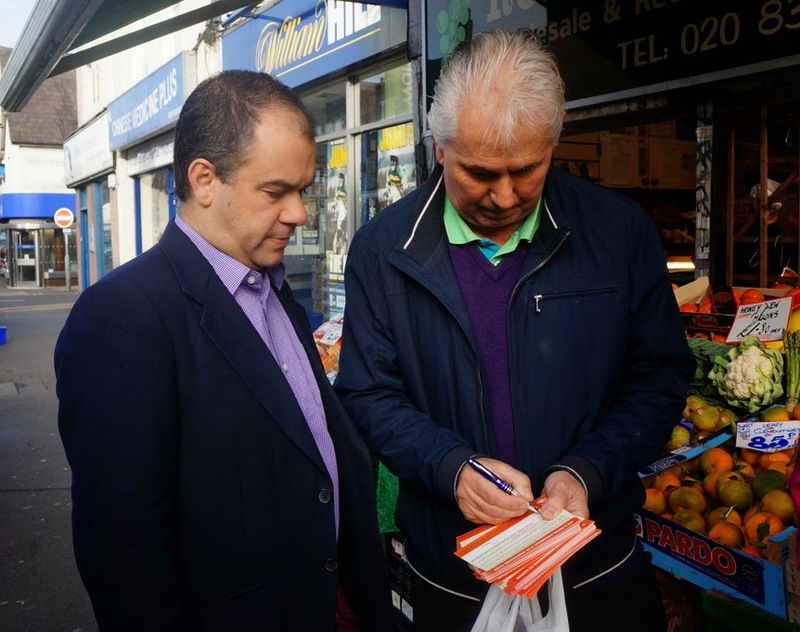 Some readers may have noticed that Paul has also continued to build on this campaign, gathering even more signatures on the petition and handing out cards on a few cold mornings at the station and in Central Road. "I guess the people in charge of Crossrail 2 have chosen Motspur Park as their preferred stop to allow passengers along the Chessington spur to access the service. 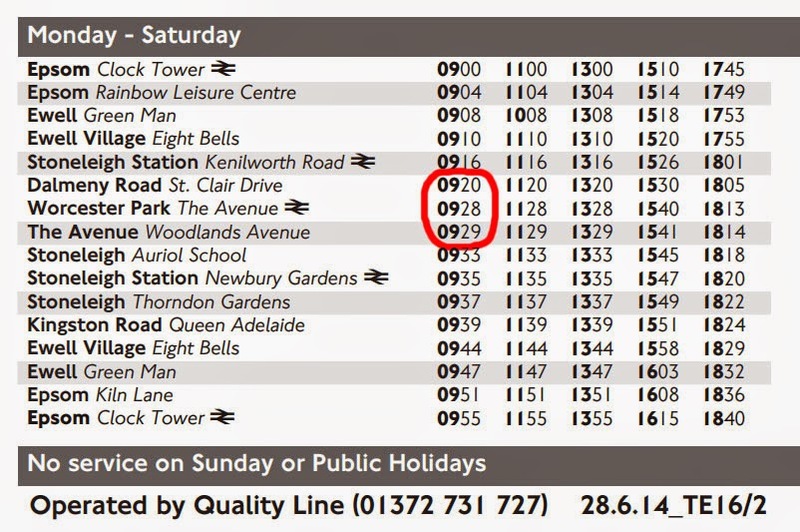 That ignores the fact that Worcester Park is absolutely heaving at peak times. When I was handing out 1000 petition leaflets at Worcester Park over a few early mornings residents were amazed that they had been overlooked. As the Minister in charge of the project, Claire Perry has now had a chance to speak to station staff, local businesses and residents. She was very open to listening and was left in no doubt of the strength of feeling of people in Worcester Park. It may still be a while before anything happens but I'll carry on pushing all the way for a bit of common sense. Steve O'Connell, the London Assembly member for (the London Boroughs of) Croydon and Sutton has also been on the case having officially quizzed the Mayor, Boris Johnson on the situation in July and September (See the actual transcripts here and here). The Mayor has unfortunately not yet committed to the Crossrail 2 trains calling at Worcester Park but he too is well aware of the strength of feeling on this matter. "If the local authority is keen and is prepared to put a funding package together, then obviously that would make it easier." Steve replied that he would lobby the relevant council. Hopefully the relevant council, be it Kingston, Epsom & Ewell or Sutton (or some combination thereof) will look favourably on the project in response to Steve and Paul's efforts. 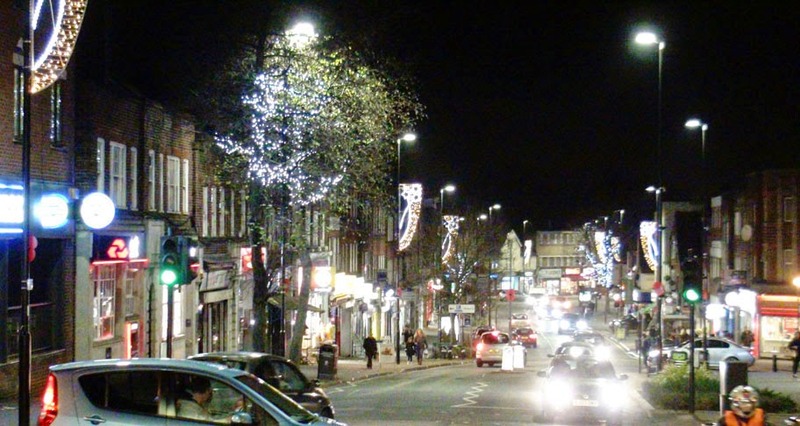 There has been much rumbling this year about the Central Road (and Windsor Road) Christmas lights (or lack thereof). 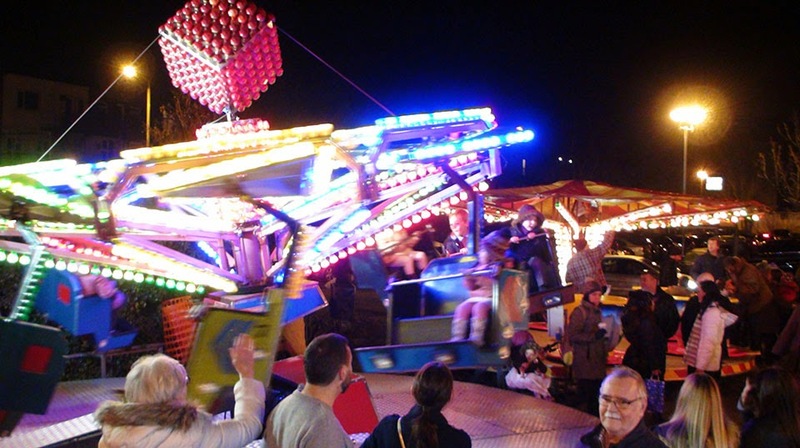 The lights which are now working look really good but have been switched on in dribs and drabs and not all of them in time for important occasions like the Worcester Park Christmas Late Night. Having seen a few 'strongly worded open letters', spoken to more than one local councillor, a few local traders and other interested parties I can report that efforts have been, and are continuing to be made to sort the problem out, but many people feel that it has not been good enough - especially when compared to areas like Stoneleigh or Kingston. 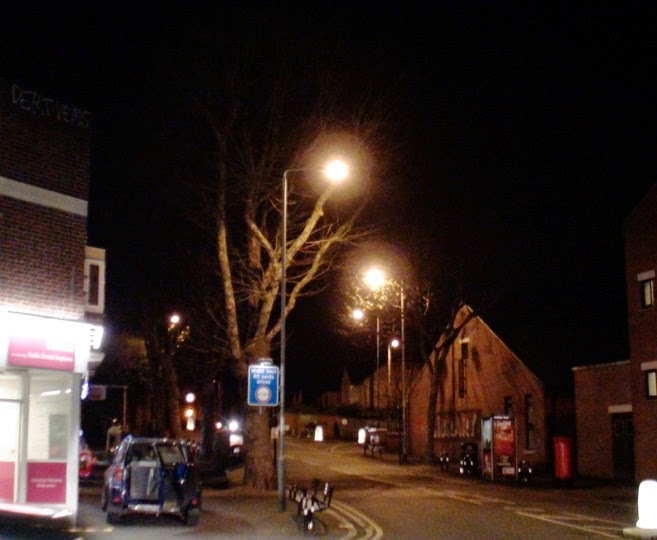 Many readers will remember that last year, numerous trees in Central Road had fairy lights put in them but only about half of these were ever switched on. It transpired that apparently whoever did the work *forgot* that theses needed to be plugged into actual electrical outlets (usually reached via street lighting poles). As a result, no one was able to get all the lights up and running in time and after the season had passed, it dropped down the list of priorities for the then councillors. A few nights ago more of these were switched on further down Central Road. However the problem of the rest of the 'tree fairly lights' is still to be addressed. Windsor Road was last night bereft of the little twinkles as many trees still are. Either way, I have heard that the full set of lights will be on by Christmas. And that next year things will be much better organised. Here's hoping on both counts. In the meanwhile here's a shot of Leyfield (off The Manor Drive) which thanks to most of the residents, puts on a great display every year. Numerous people have been asking the question "What is happening at the old Kingfish Restaurant?" 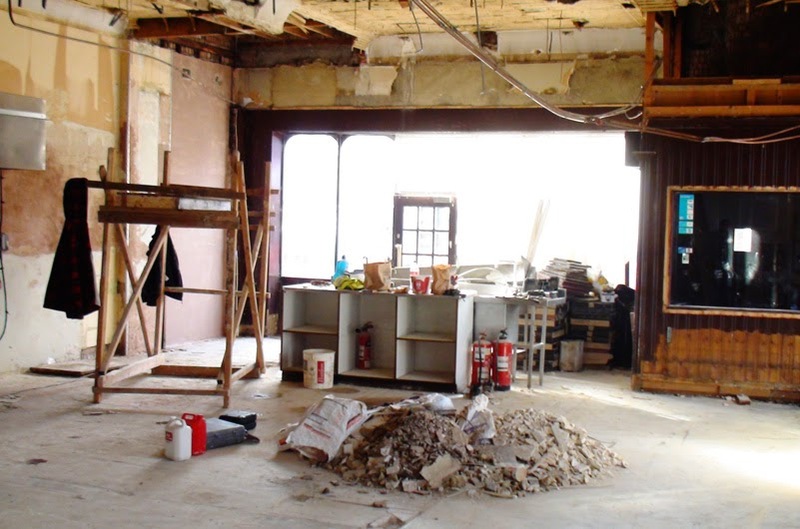 Since the demise of the fish and chip restaurant here, many people have noticed and reported the renovations going on within this prime piece of local real estate. 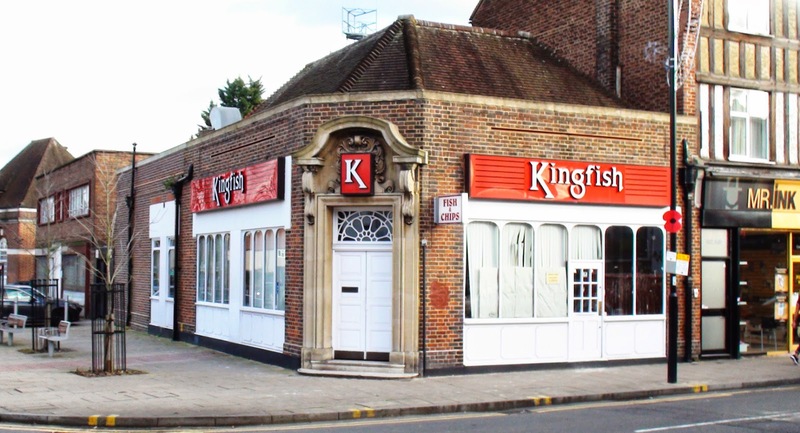 The blog can exclusively reveal that the premises is to become another Fish and Chip Restaurant. Not only that, it too will be called Kingfish! "We will be offering a completely new menu which will include grilled and barbecued fish. There will be a takeaway section where the existing entrance is and the restaurant entrance will be through the main doors on the corner." He is bringing in all new equipment and will be putting up new signage but will probably stick with the red and white theme. Since a fish and chip business had just failed there, I asked why he thought another one in the same place would succeed. He answered that he was well aware of what happened to the old business and why it had failed - these people in the same industry all know what is going on. He said he will be running the business side of things differently. 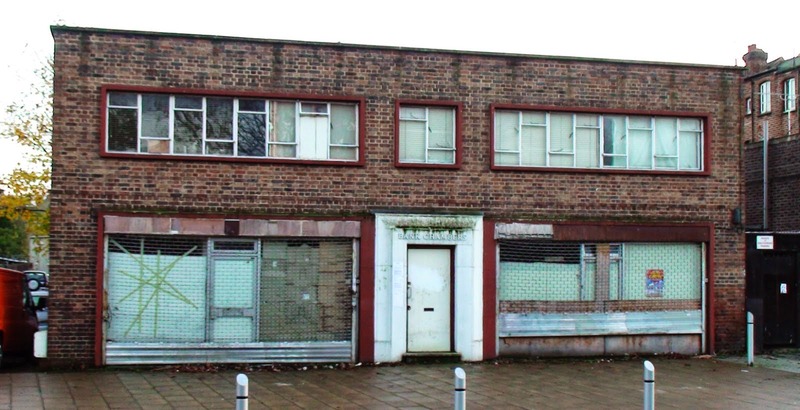 It is worth noting that a licence has been applied for to sell alcohol on the premises. For those particularly interested in the fine details: the application can be found here. One week to go! 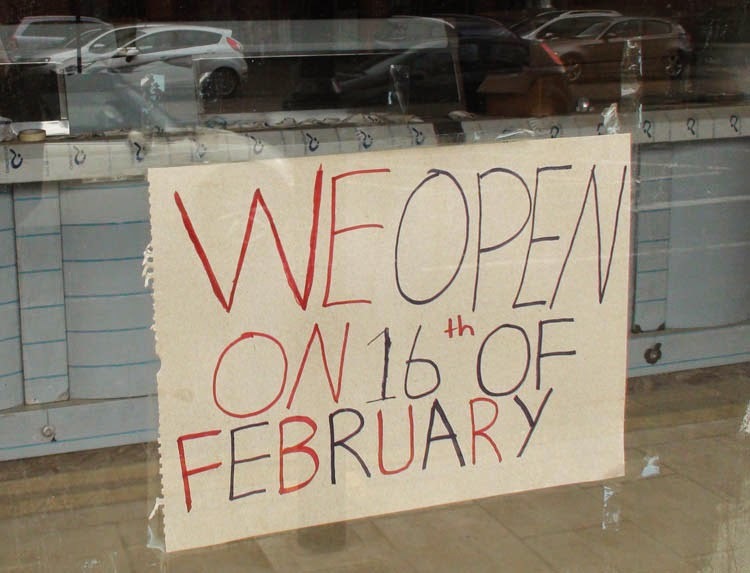 According to this sign stuck in the shop window, they will be opening on the 16th February. This is only two and a half weeks later than planned, which, in the grand scheme of open shops, probably isn't too bad. There has certainly been some work going on inside. Looking forward to tasting the wares when they become available. A new low has been reached in Worcester Park. 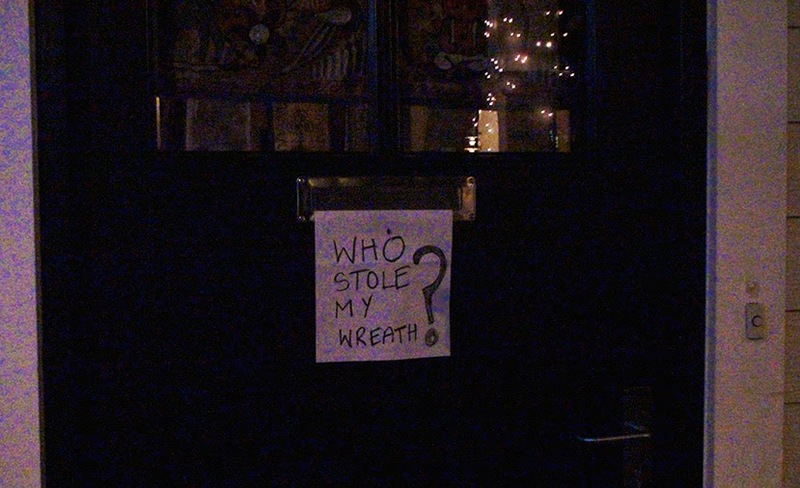 I spotted this sign attached to a front door in the Hamptons a few days ago. Is nothing sacred? Readers (particularly those with children) may recall that Friday's Christmas Late Night included a local church themed treasure hunt. Many young eyes were apparently spotted examining shop windows with a slightly longer attention span that usual - all in the hope of filling their sheets up with the names of shops displaying various local church pictures and winning a selection box from Sainsbury's, Worcester Park. Treasure hunt organiser Richard Johnson has asked that thanks to be passed on to all those who took on the challenge, all the traders who supported the quiz and the Sainsbury’s Local team, (pictured and from left to right, Kat, Samy, store manager Dennis and Sunkyo), who provided not only the headquarters for the quiz but also supplied all the treasure hunt prizes. 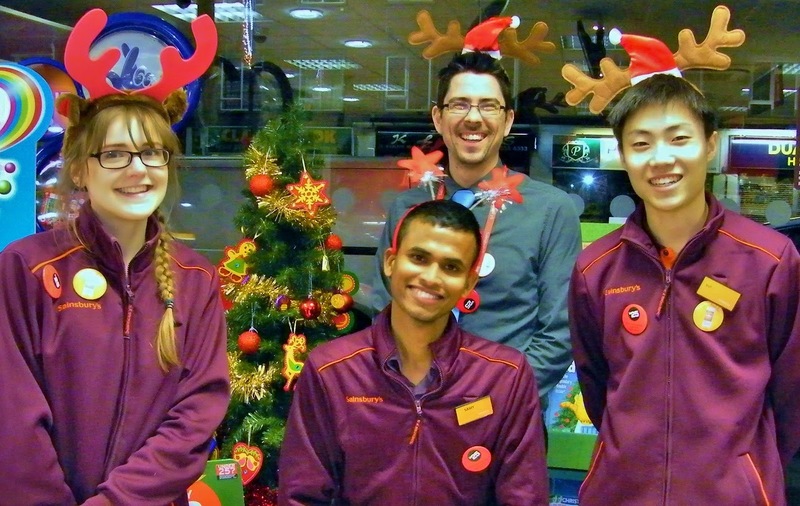 According to Richard, (as is perhaps evident from the photo), the Sainsbury’s team threw themselves into the spirit of the occasion and probably had as much fun as the kids doing the quiz. Thanks also to Richard for organising the event! Maddie Taylor, the girl in question, was the youngest girl to be chosen to join a group of guides to be part of a Girlguiding LaSER Trip to Vietnam in July 2015. This will not be a holiday. Whilst there she will be helping to paint and decorate an orphange and will be teaching in a local Vietnamese children's centre. 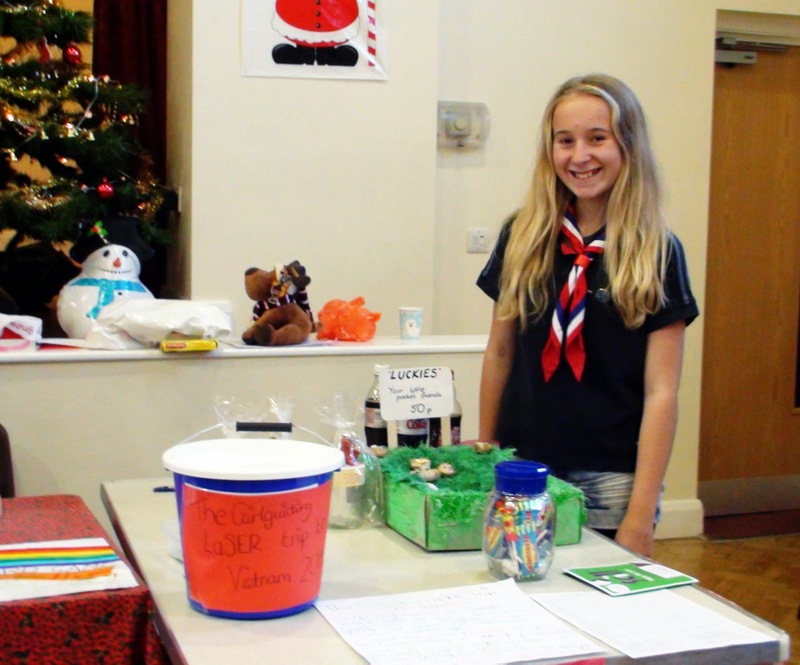 Maddie is with the 2nd Worcester Park Guides which meet at Christ Church with St. Philip on Monday evenings. She was chosen out of thousands of girls and was the only girl to be selected from her unit. She is currently in Year 8 at Cheam High School and will be 14 when she leaves for Vietnam next July. Bag packing at her local supermarket. Designing and making a challenge badge that will be sent to various districts for them to sell. A cake sale at her school. A quiz night on 17th January 2015 to be held at the church. 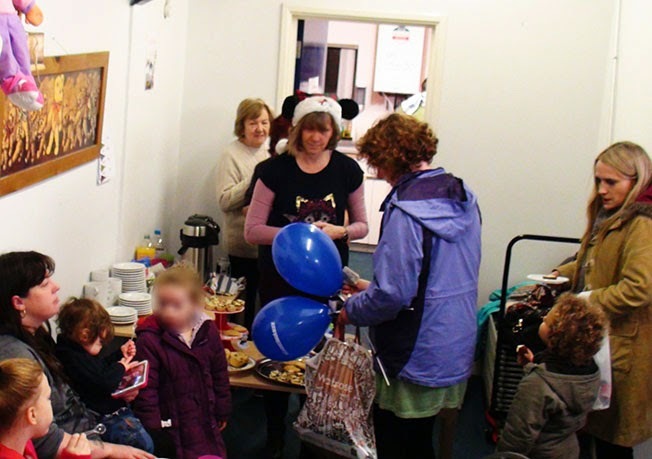 A disco in February 2015 for the local Brownies and Rainbows. "I can’t wait for the experience to begin and being able to help others who perhaps do not have the opportunities that I have. I feel that I would be inspirational in speaking to others, particularly on how Girl Guiding has helped me gain confidence and also given me an awareness of others around me and spreading the word that girls matter. All I am asking is if it would it be possible for you to help me out in any way – would you be able to provide some of the funding costs, provide any suitable kit or donate a raffle prize towards my quiz night? Anything that can help me reach my target, would be gratefully received. 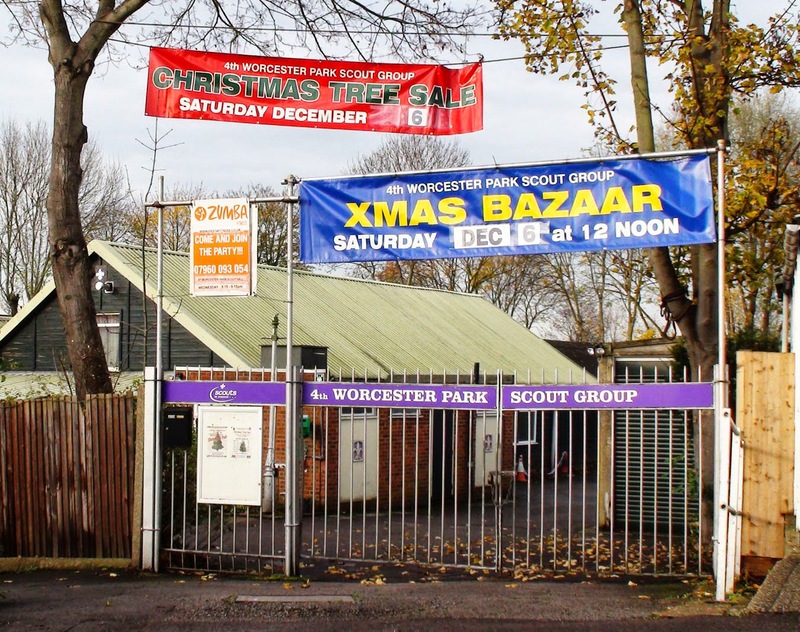 If you would like to support me please send any raffle prizes, kit or donations (which should be made payable to 2nd Worcester Park Guides) to my Guide Unit at: 2nd Worcester Park Guides, Christchurch with St. Phillips, Ruskin Drive, Worcester Park. KT4 8LG or donations onto my just giving page https://www.justgiving.com/MaddieTaylor-Edwards/"
I am very keen to see these sorts of trips being undertaken. Having travelled myself, both as a child and a young adult I have seen first hand how such experiences really do help people to grow and mature. To say they 'broaden one's outlook' is a huge understatement. When I arrived back in the UK after three and half months backpacking around Europe, my grandparents thought I looked taller. And on my first trip back to Australia after moving to the UK in 1997, a friend of mine remarked, "You've been gone two years and come back 10 years older". And of course over and above the benefits to Maddie of such a trip, will be the benefits to the children in Vietnam she is helping to improve the lives of. So please help if you can in the various ways that Maddie has suggested. And also please help support groups like the Scouts and Guides, all of whom help our kids to be better people not only through programs like this but through the many activities and experiences they give them. They are all run by volunteers and could all use an extra hand. 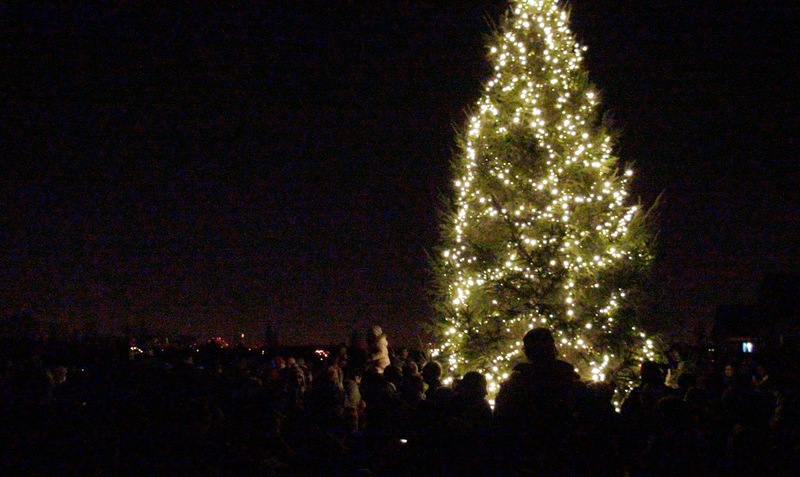 At the top of the hill in the Hamptons, visible apparently from parts of Central Road - although I haven't yet checked this, stands a large Christmas tree with lights that were officially switched on this evening. 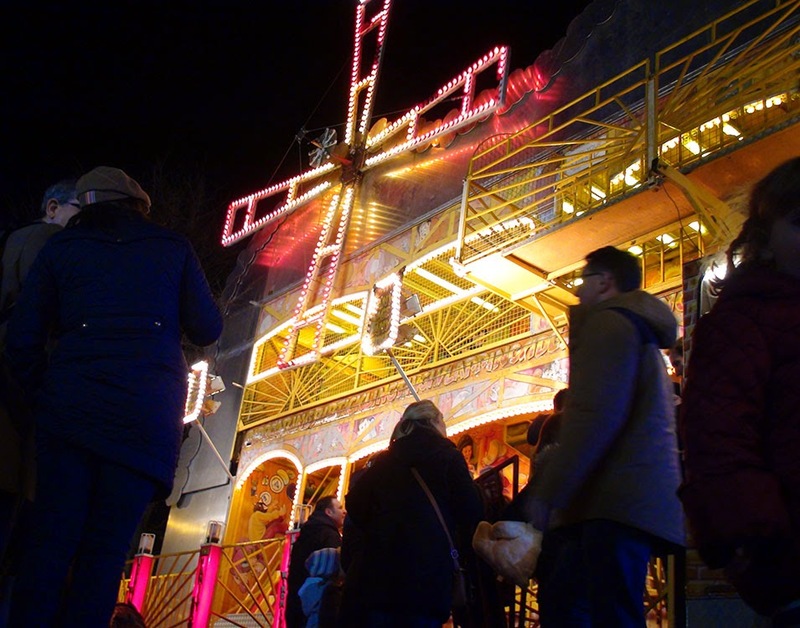 The crowds started to gather at 5:30 around the darkened tree where they were offered mulled wine and mince pies and entertained by the Grace Church Choir singing carols accompanied by an accordionist. Around 20 minutes later Sutton's Mayoral car reached the top of the hill and The Mayor (Cllr Arthur Hookway) and Mayoress (Mrs Sue Hookway) got out. 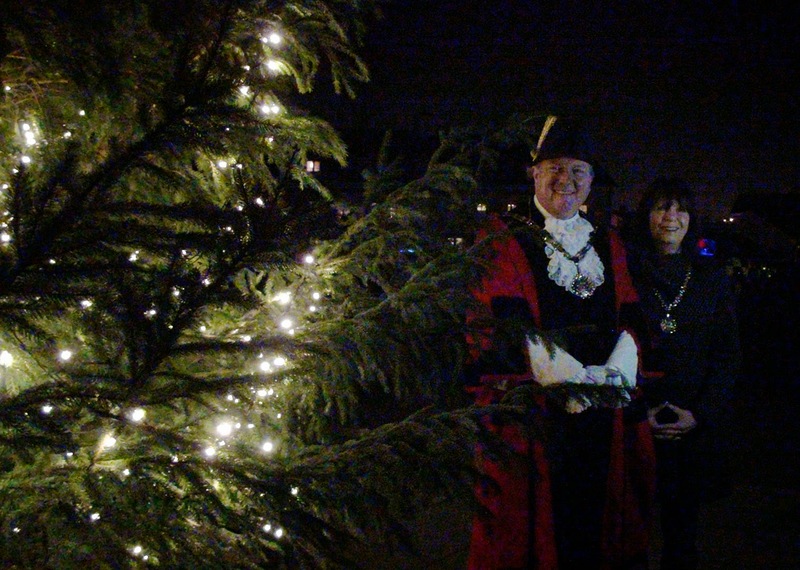 The Mayor proceeded to speak to the crowd (making a special effort to keep the children entertained), thanked the many people who had contributed to the occasion, and then after a countdown switched on the lights to great applause. 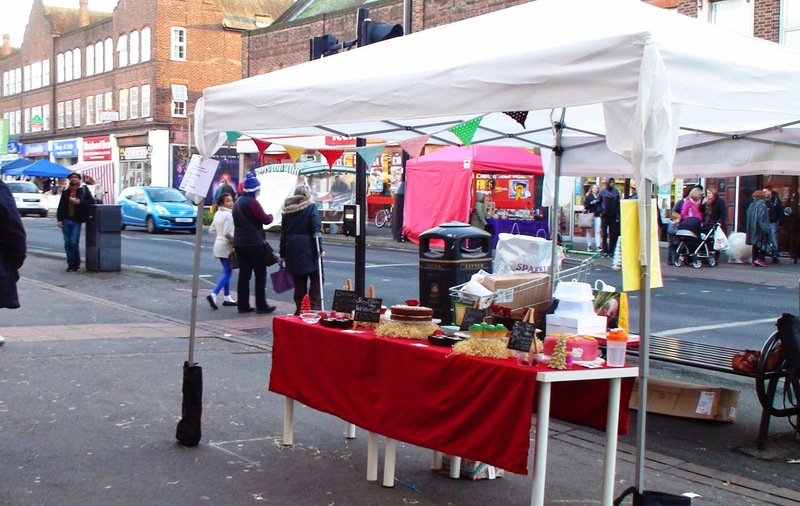 Today was once again market day for Central Road with regard to crafts and local produce. There were a good few stalls around and while it didn't appear to be 'heaving' one of the stallholders told me it picked up a bit in the afternoon. 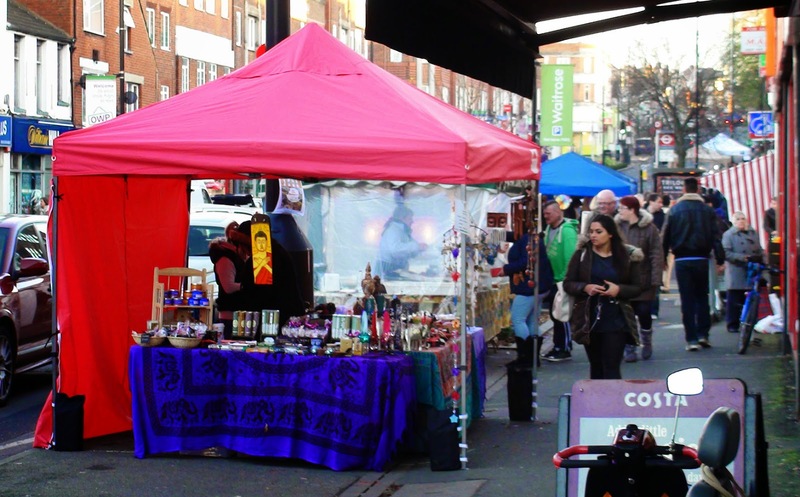 It was actually her first time as a stall holder in Worcester Park - in fact she was rather new to the game. The Green Cakery was her business however the slice of cake I had was rather brown and chocolatey - and quite delicious. 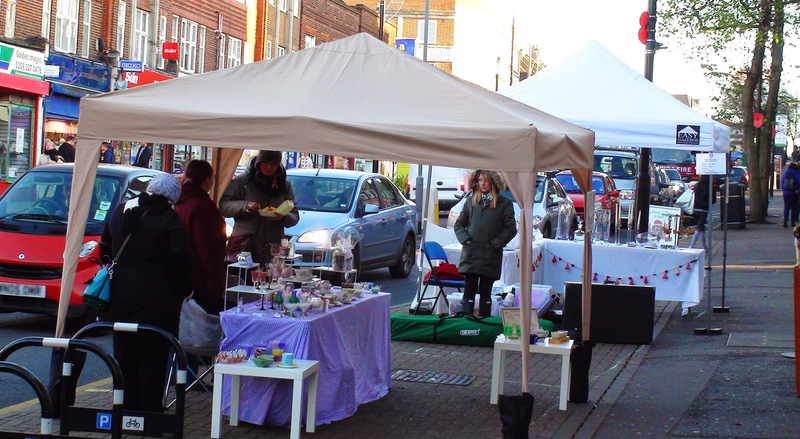 While once again it was brilliantly organised by the Worcester Park Traders' Association, it's a shame more of the local traders didn't take part. 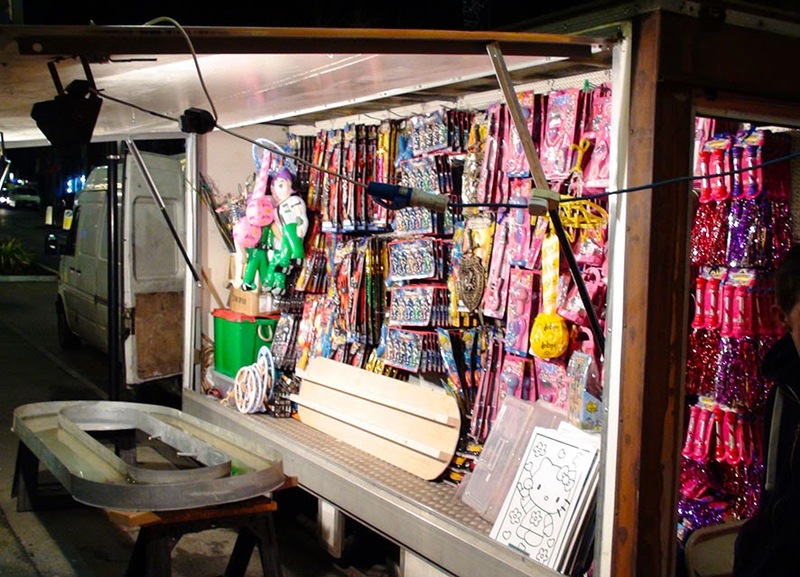 Had every shop been open and participating in some way, it just would have raised it up those few notches more. Still, I think (and hope) those that did benefited from being part of this wonderful community initiative. Well that's it. The inspector has been and seen, questioned and heard. The fate of 2-4 Green Lane (and the surrounding area) now rests in his hands and in the evidence we have all presented since the beginning of the Mosque appeal in April. The people of Worcester Park have certainly done themselves proud. Maple Lodge was packed this morning - on a week day. It was standing room only for many at the back. And this is after the inspector had stated on a previous day that the audience at most inquires tend to peter out after the first few days. We certainly showed him our strength of feeling directly through our presence. The day opened as usual with the normal bits and pieces of procedural double checking. The appellant's advocate was back again but their planning consultant was not. There were many muttered apologies from the appellant's side for their general unprofessionalism and eventually we got onto the summing up. Our side spoke first - that is the Council's advocate, who put the case across very well and at one point received a spontaneous applause from the audience, who were told by the inspector that this was not appropriate. Then the other advocate summed up the appellant's case. Several points were challenged by our side, particularly regarding the what some may describe as misleading language being used. 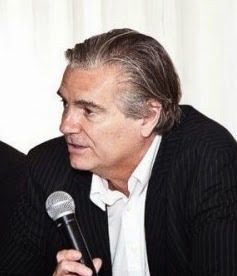 For instance, it was claimed that we had conceded several points when the reality was that these were points that we had never disputed. After all of this came the outline of costs that each side would want to claim - hopefully the council will be awarded the full costs which are being asked for. And then there came the site visit. A small group of us walked briefly around Maple Lodge and up Green Lane to the school and then down Green Lane. We wandered past the site, having a quick look at the proposed bicycle parking area and down to the station. I suggested we walk over the new footbridge so the inspector could get a better view of the overall area from the top. I would like to go into more detail about what was discussed and noted, however at this point it may be considered prejudicial to the case so I must keep schtum for the moment. We walked back up Central Road and into Stone Place car park - packed as usual. Then out into Windsor Road and back down Central Road to the site, while taking a quick look at the side streets on the way down. We were met at the site by one of the appellants - the gentleman who had spoken for them at the previous hearing day. We had a look through the building and then around the outside including the garage and then at the residence next door. That really drew it to a close with the inspector choosing to walk by himself up Longfellow Road to get back to Maple Lodge. Now we must wait for the official decision which will certainly not come before the new year. I feel we have all, as in the whole community, worked very hard to make our case. No mater what the outcome I don't know what more we could have done. I just hope, as I'm sure most people reading this do, that the inspector makes the right decision that the vast majority of the community clearly want. 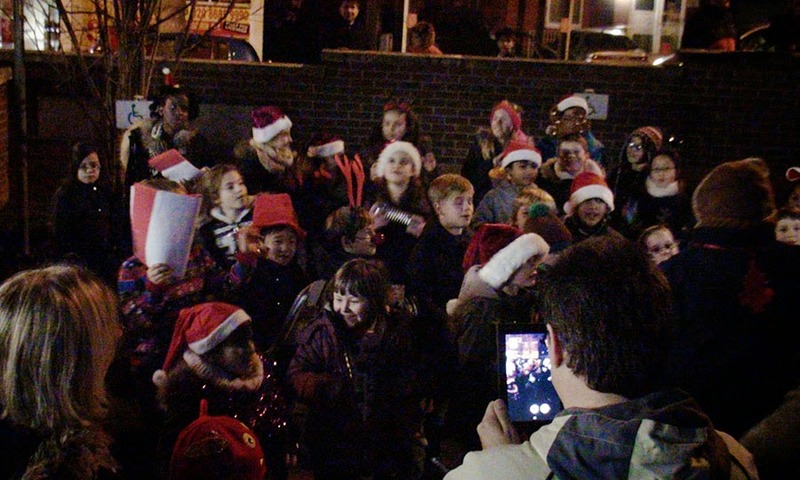 As well as the conclusion to the Green Lane Mosque appeal, the other big thing happening tomorrow is of course Worcester Park's great big annual Christmas Late Night. As well as the normal Central Road Christmas extravagansia, brought to you in the wake of April’s 'Easter Egg Hunt' and August’s ‘Commonwealth Games Quiz' the final piece of this years children's quiz trilogy is a Christmas Treasure Hunt, this time supported by Sainsbury’s (at the top of Central Road, Worcester Park) and will be taking place during the Christmas Late Night festivities. Sainsbury’s store manager Dennis Benjamin has kindly agreed to supply 100 Selection Packs to the first 100 local children to finish the quiz. To give this both a Christmas and local theme, the organiser, local resident Richard Johnson took photos, external and internal, of all five Worcester Park churches: Christ Church with St. Philip, St. Matthias Catholic Church, Worcester Park Baptist Church, Cuddington’s St. Mary the Virgin and Old Malden’s St. John the Baptist. 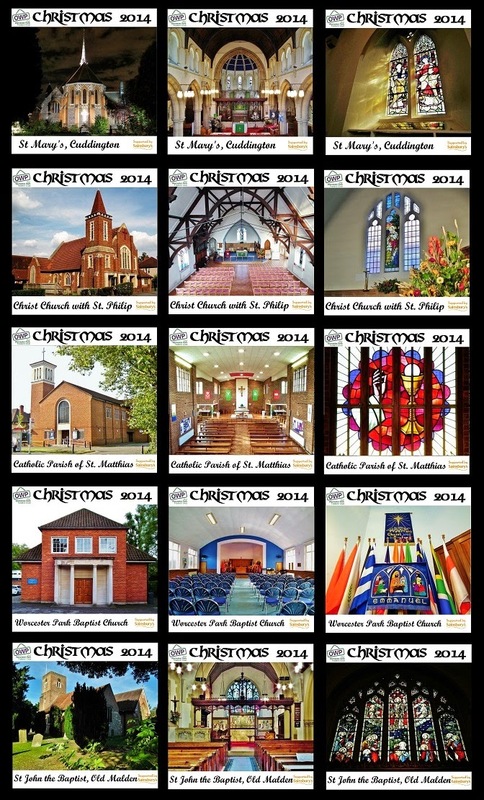 Sixty pictures (small versions shown here) will be in the windows of the local shops, between Worcester Park Railway Bridge and extending up the hill (including Windsor Road), as far up as Christ Church with St. Philip in Cheam Common Road. You may have already spotted a few during your wanderings in the high street. All local children are welcome to take part. 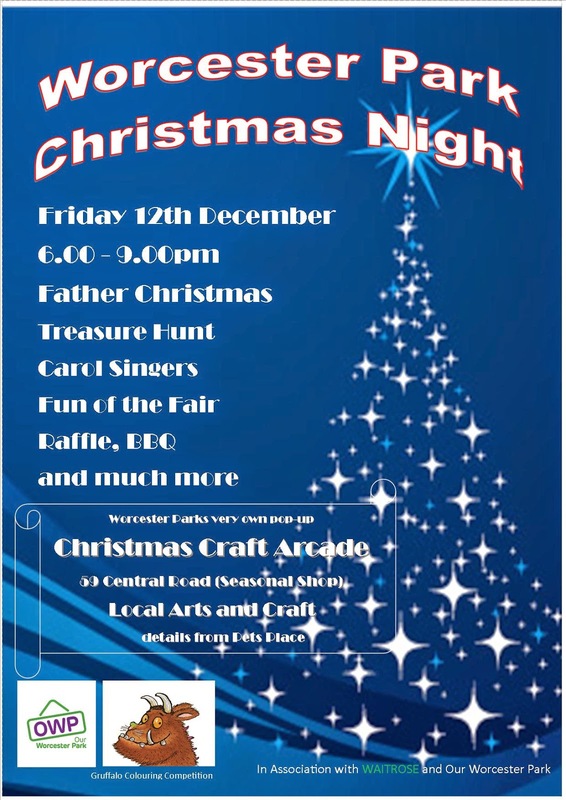 To enter on the night, they will be able to pick up a form from Sainsbury’s (Worcester Park - top of Central Rd - remember! ), to record the names of the local shops where they have found one of the pictures. Once the form is complete, upon returning it to Sainsbury’s, they will each receive a Cadbury’s Selection Pack. All you need to bring along is a pen or pencil. 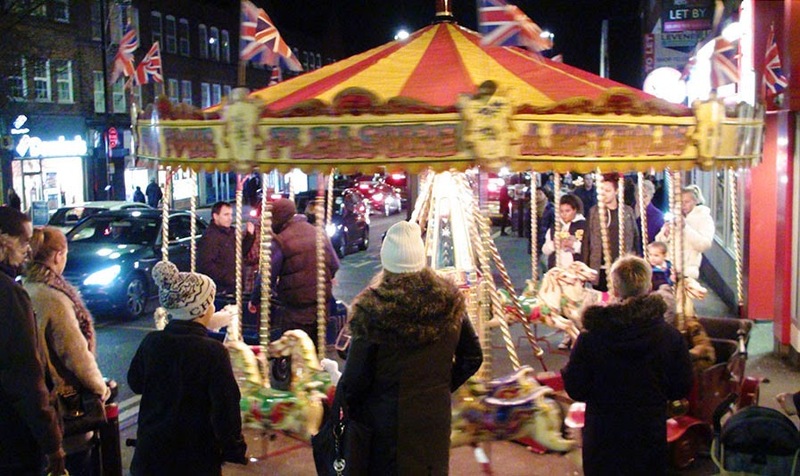 "The intention is to provide another activity for younger residents and give families an added incentive to explore the high street and the activities that will be taking place on the night." He highlighted that they won’t be expected to find all sixty, but that as weather is a question mark, the number will depend on how dry and mild the evening is. The idea is for the local kids to have a bit of fun, without making the quiz too easy. The treats will be handed out at Sainsbury’s (Worcester Park) to the first 100 children who complete the quiz or until 9pm (whichever happens sooner)… So to ensure you get a selection box, pick up an entry form at Worcester Park Sainsbury’s soon after the late night begins at 6pm. 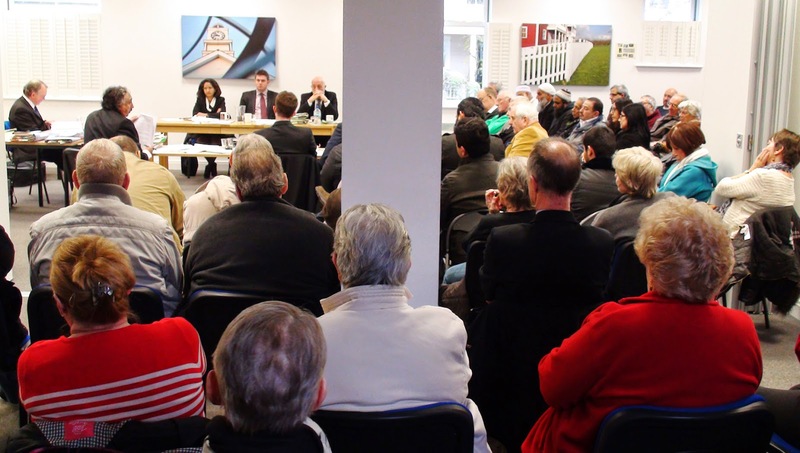 As most readers are already aware, tomorrow (Friday 12th December) is the final day for the current Green Lane Mosque appeal hearing. This appeal which began over a year ago is almost certain to finish tomorrow as it is only the final summing up of the case by both sides. No new information may be introduced. This will begin at 10am and this time is being held in Maple Lodge in the Hamptons (pictured below). This is a public event so please feel free to come along and listen to both sides as they sum up their arguments for and against the proposal. A good turnout will also show the inspector exactly how important this issue is to local people. This final summing up will be followed by an official site visit so the inspector can see for himself the extent of traffic and parking problems in the area. This will be a walk around the area, probably starting around 11:30 and continuing for 2-3 hours. 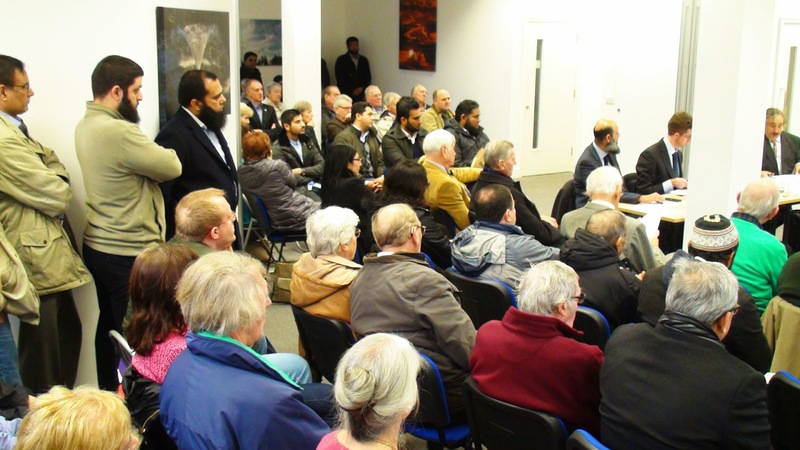 The reason for the timing of this is so the inspector can see what the area is like during the Friday lunchtime prayers, the time each week when the proposed Mosque would be most likely full to capacity. There will be a limited group of people walking with the inspector which consists of the officials from both sides plus one representative of the people who spoke at the hearing on each side. Those who have spoken against the proposal have kindly asked me to represent them during this walk around so I shall have an opportunity to point out to the inspector the lack of available parking spaces in Green Lane, Central Road and the other roads off these roads and in the overall area nearby. We will also look at Stone Place car park to asses parking availability there and of course will be making a note of the volume of traffic in the area overall. The appeal would have concluded at the last day of the hearing on Wednesday 19th November if the appellant's advocate and planning consultant hadn't resigned the previous day, leaving no one to do the summing up. However it does at least mean that the people of Worcester Park don't need to travel far to see how this appeal is concluded. The final decision of the inspector will come several weeks later and everyone who has played an active role in this overall process should be sent a copy of this once the inspector has weighed up all the evidence and seen the situation for himself. It's open! Bronco's, the family restaurant that everyone has been waiting for with mouth watering anticipation has this very morning thrown open it's doors. The ex Al Jenat site which has been transformed since the summer began trading this morning, welcoming in mothers (and other parents and guardians) with young children to enjoy a coffee, sandwich, pasta, icecream and other lunchy nibbles while the kids go wild in the new soft play area at the back. One of the owners, Lee, has asked me to remind people that the hot grill, i.e. the burgers, ribs ect. will only be available after 5pm on weekdays and all day at weekends. The aforementioned lunch menu is available during weekdays until 5. 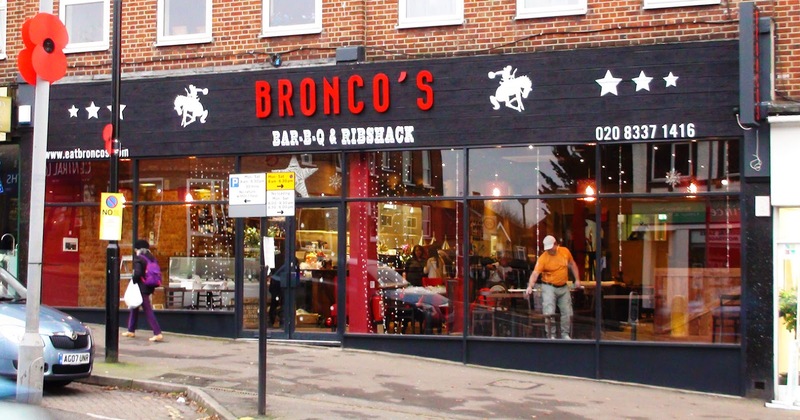 Bronco's is a local independent business that is now employing dozens of people, 90% of whom are local. So don't be shy - go along and support this business because at the end of the day the local community will benefit if it does well. 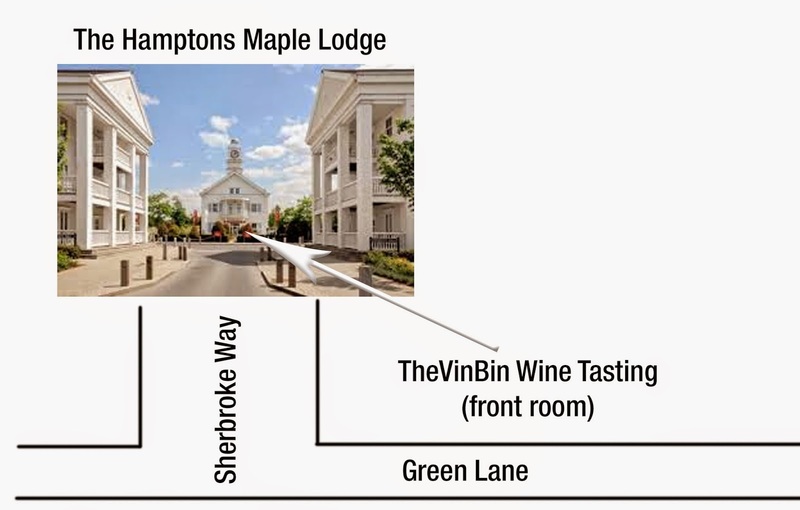 A few evenings ago, while enjoying the samples of Vin Bin wines at Maple Lodge in the Hamptons, I got chatting with a couple of fellow tasters. I already knew Dan as vice chair of the Hamptons residents' association but I was also introduced to his wife, Kim who it seemed had just sent me an email. Kim is the assistant manger at the Kingston clothing emporium Taking Shape and it seems she will be hosting a Taking Shape Popup Shop (they're all the rage these days) in the very same Maple Lodge this coming Saturday and Sunday. Taking Shape was originally an Australian company which now has 160 stores across Australia, New Zealand and the UK and specialise in sizes 14-26. Having originated in Australia myself it is nice to see an Aussie brand doing well. It turned out that Kim and Dan were also ex-pats from the big old country down under although that didn't have anything to do with Kim working for the company over here. Either way, if you are looking for some fashion ideas, like the look of Taking Shape and are free this weekend, you only need to pop into Maple Lodge in the Hamptons to have a look at what Kim and the Taking Shape team have to offer. They'll be open from 10am until 5pm both days. The Old Vin Bin shop has lain empty for a year and a half now. But 'goings on' have been spotted recently in the building and now new life has been breathed into the premises in the form of 'Smak' a Polish and Russian Delicatessen. 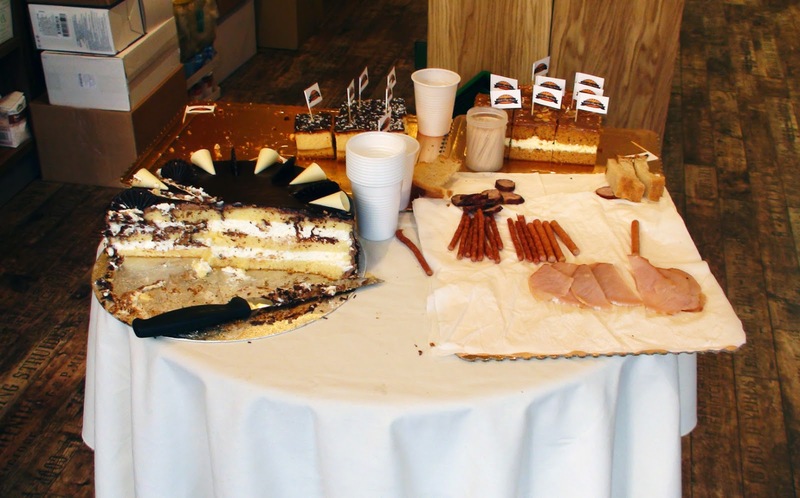 The new shop opened for their first official day of Trading on Friday and welcomed the early birds through the door with a selection of cured meats and cake (yes it was delicious thanks). 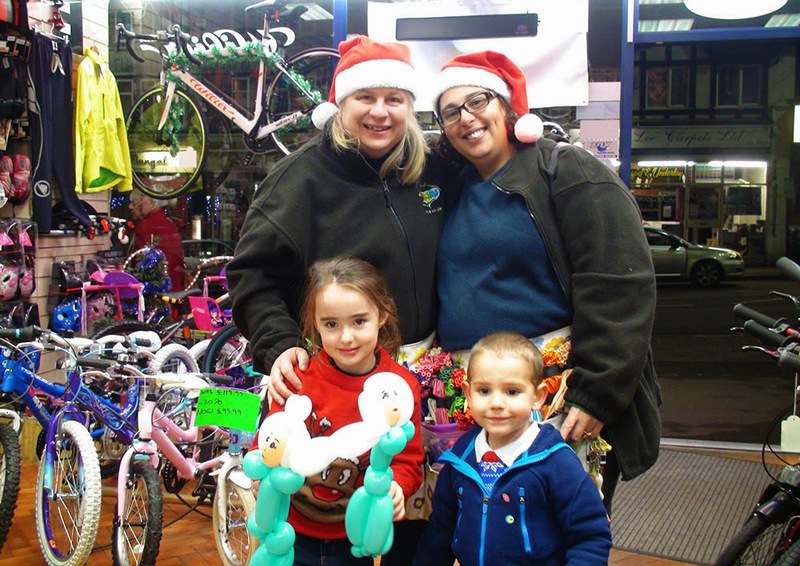 Viola, who runs the shop has three other stores including one in Tolworth. She had one in Sutton (just south of the station) but the lease wasn't extended there due to plans for a development in the area and so she decided only a month ago to take the lease on this shop just past the top of Central Road in Cheam Common Road. 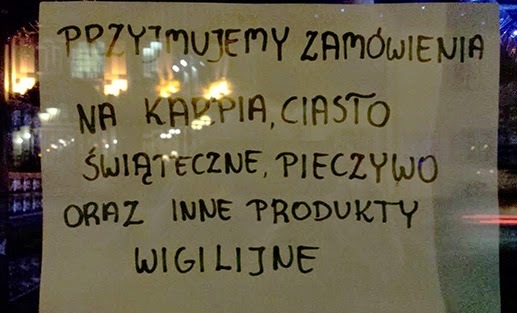 Blog reader Spud has sent in a picture of the Polish notice in question (see comments section) and asked if anyone can translate it. Can we believe it's been a year and a half since we lost the Vin Bin? Coincidentaly, the very week that the old Vin Bin premises (at car crash corner) has reopened as a Polish and Russian delicatessen (more on that soon), like a ghost awakening at the sense of strangers passing over it's territory, Vin Bin are back in Worcester Park for an evening of wine tasting this Saturday (6th December) at Maple Lodge in the Hamptons. Miz and Aret are amazed a year has already passed since the last wine tasting and are really looking forward to seeing everyone again. "Things have been moving along in 2014 and we now have Croatian and Italian offerings to boost our portfolio of Spanish and Austrian wines. We will be showing some of our best sellers on Saturday, along with many others we hand picked especially for the festive season. Whether you love a well matched Chardonnay with your Christmas Turkey, a rich Malbec, or want to try something completely new, we've got it covered!" The first cork is scheduled to be pulled at 3pm, with a continuance of uncorking going right through until 7pm. What are you doing next Friday night (12th December)? 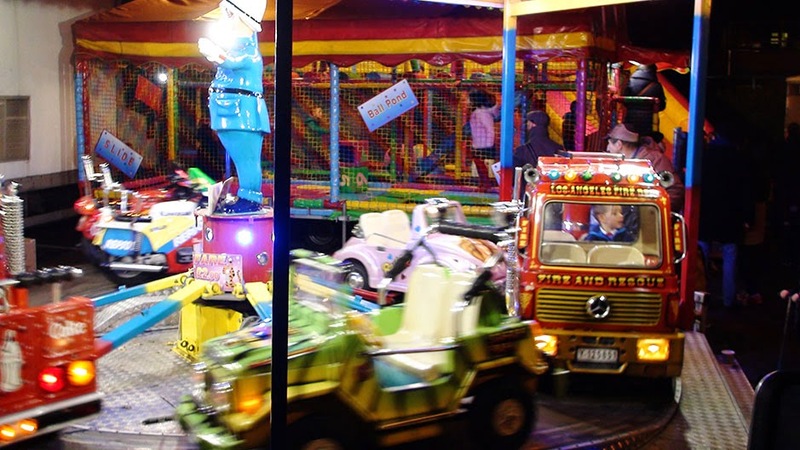 If you said you'll be at Worcester Park's annual Christmas Late Night, score 1 big bonus point! Yes it's back with bells on (literally). 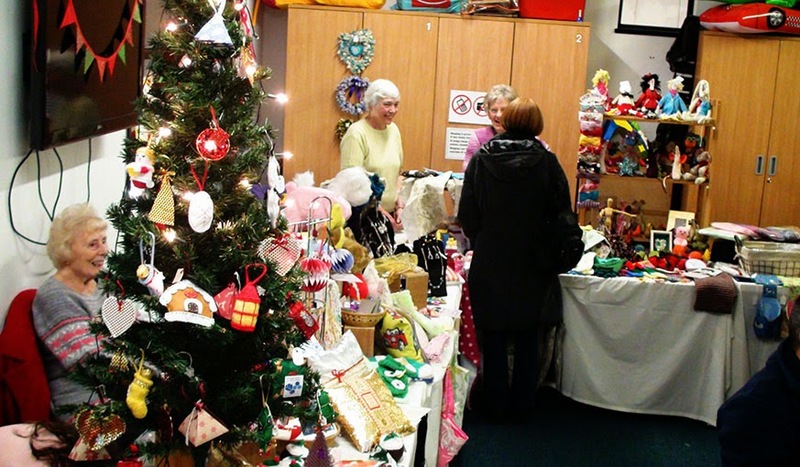 Our very own special late night opening Christmas themed traders' extravaganza. 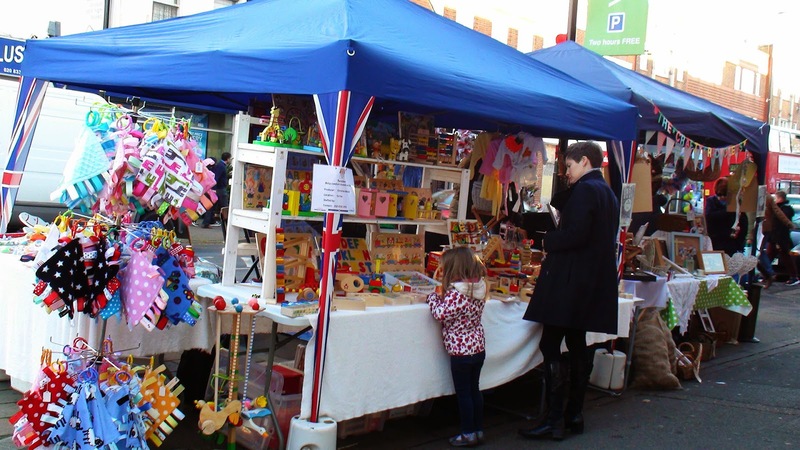 And this year (as well as all the normal fun stuff) the traders have organised the old seasonal shop to open up for a local arts and crafts market. 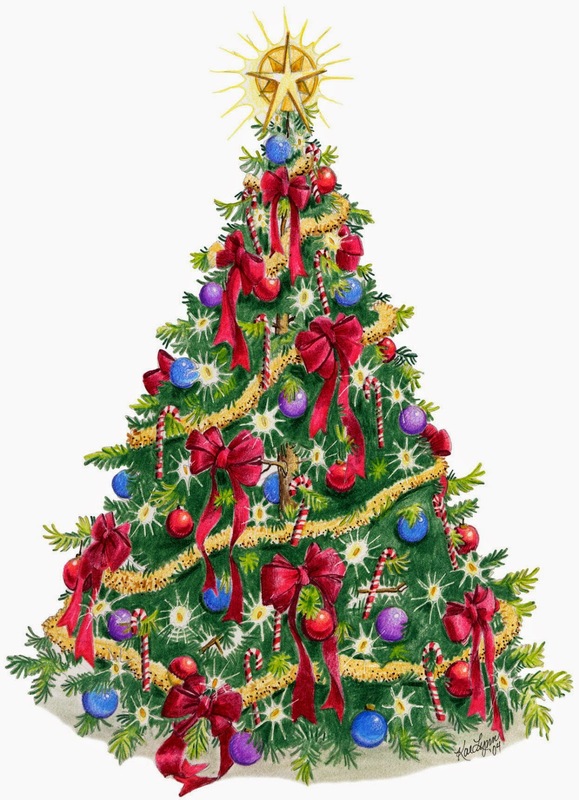 Father Christmas has already sent word down from the North Pole that he will be dropping everything to be part of this special occasion to see and give out some special gifts to the little boys and girls of Worcester Park. Local schools and churches are joining in with Carol singing (but not by herself apparently...) and stalls. There will also be a very big raffle, a treasure hunt, a Gruffalo based colouring competition and much else of a seasonally related theme. 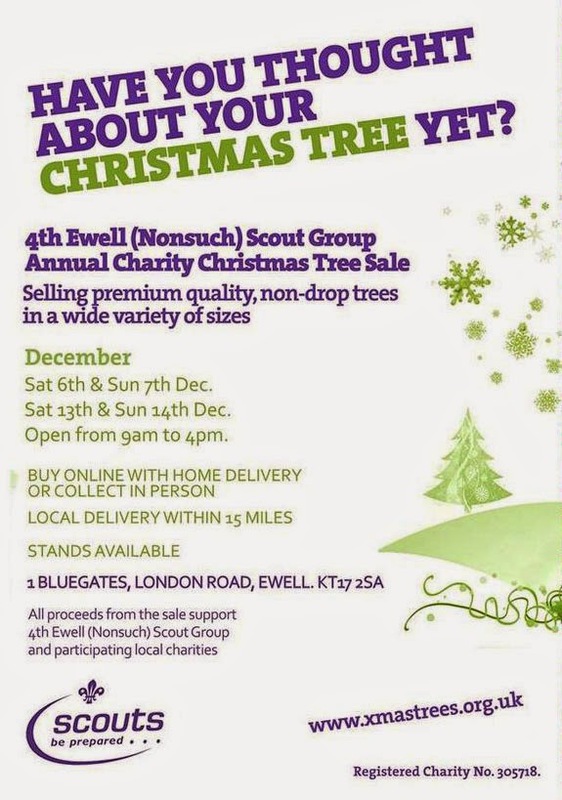 Ross Fruiterers, one of Central Roads most enduring and well known local shops is once again selling Christmas trees this year. And in a special deal, Ross is giving a 5% discount to anyone who mentions this blog! 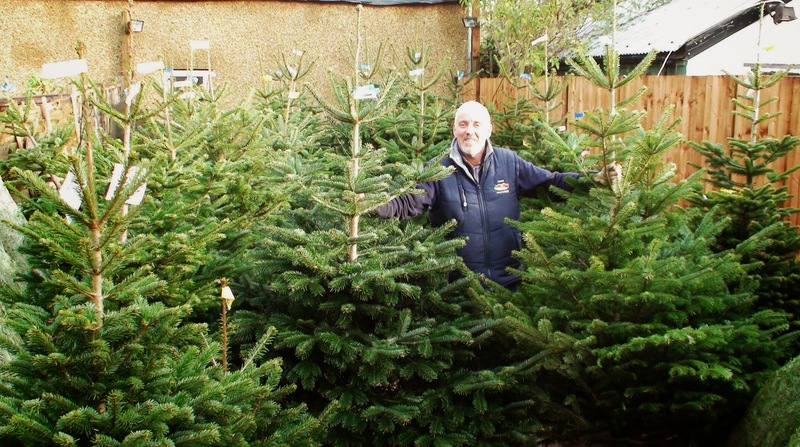 The trees, which start at £20 come with free delivery and can be see in the 'Christmas Yard' at the back of the shop. 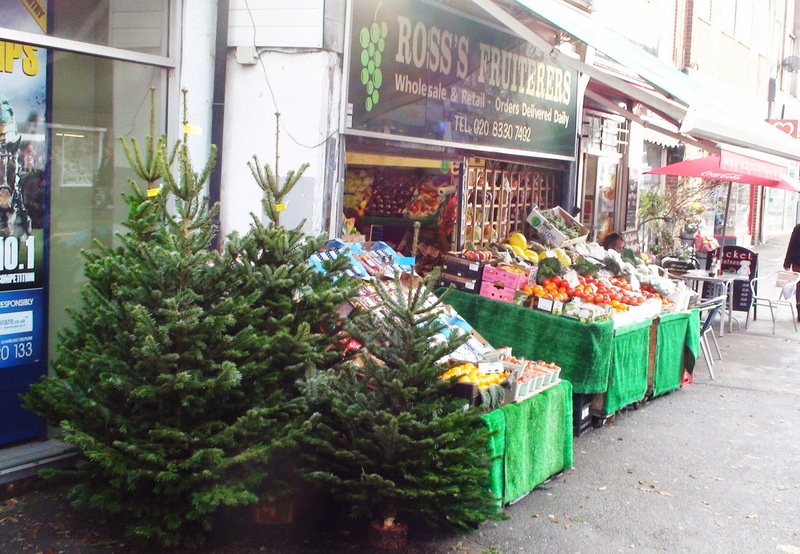 Ross told the blog that this is the 35th year in a row that he has sold Christmas trees in Worcester Park. He has been in his current shop for 24 years now but had a fruit shop down at the station for 11 years before that. His shop is open seven days a week from 7am - 7pm and from 8am - 4pm on Sundays.